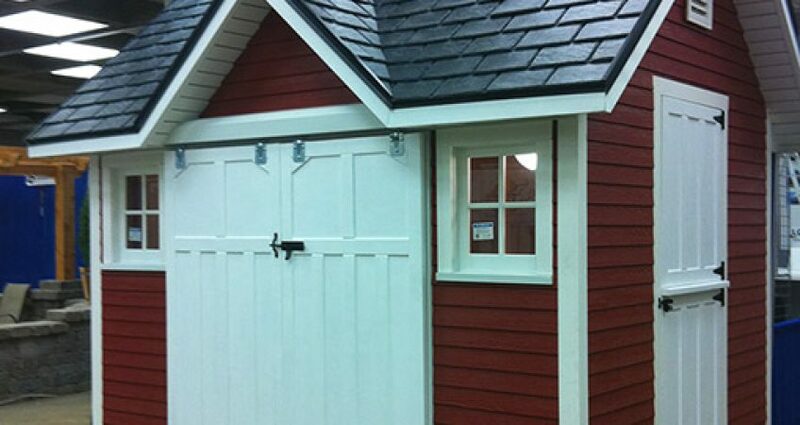 This darling little red barn garden shed was the first of Andrew’s many creative ideas for sheds. 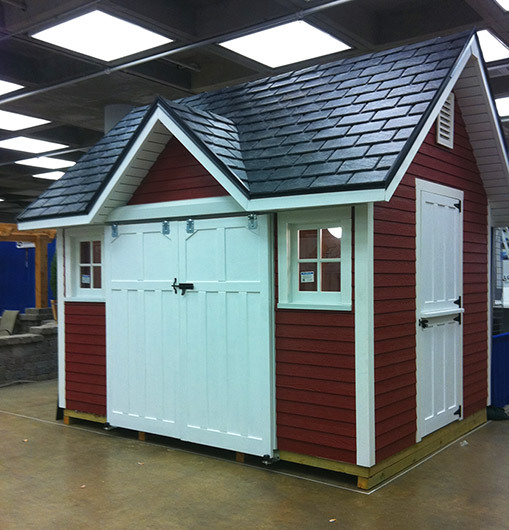 It was designed to resemble a red barn, complete with sliding barn doors for the main opening. 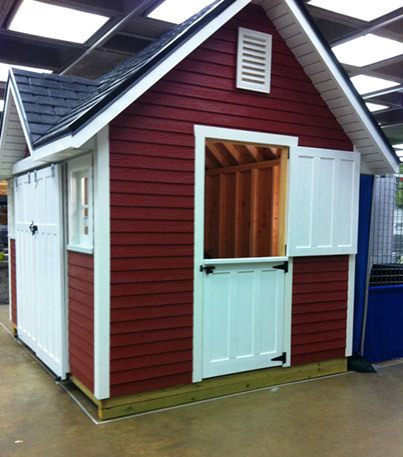 This larger opening allows one to place larger items into the shed, whether it be a riding lawn mower, tiller, etc. 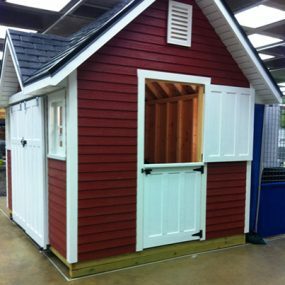 The side door is a split door to allow the owner to just open the top portion for ventilation, pass through of small items or to have the entire door open as a second entrance into the shed.